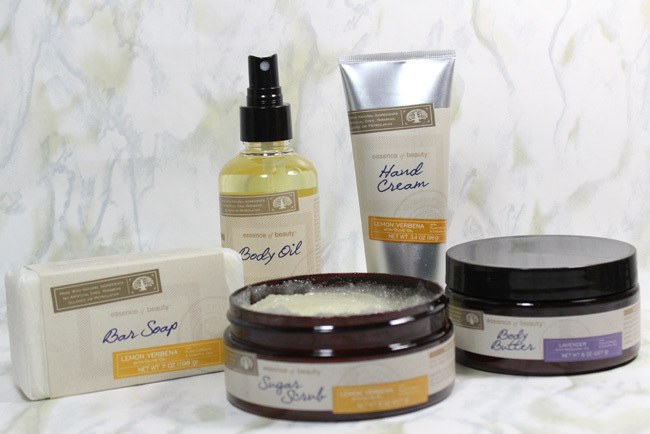 Essence of Beauty Naturally Indulgent Bath & Body Collection. I'm all about a relaxing spa night and taking a bath and indulging in some "me time". I'm always on the lookout for some great bath and body products. Of course I am picky about them. I want them to be top quality, smell great and be good for me too. And if they are affordable, I'm even more thrilled. Well, CVS got everything right as with their new Essence of Beauty Naturally Indulgent Bath & Body Collection. So much so, that once I tried a few of the products I was sent, I ran to my local CVS/pharmacy and had to buy more in other scents. You see, this brand new and exclusive line is infused with nourishing, aromatic botanical ingredients and essential oils to bring the benefits of botanicals into your everyday bodycare regimen. The formulas contain plant extracts and essential oils, and the line is free of parabens, phthalates, petrolatum and gluten. I like how the products are designed to fulfill different parts of the bath routine and they truly make for a relaxing spa night. Look for the Essence of Beauty Naturally Indulgent Bath & Body Collection at your local CVS/pharmacy store or online at cvs.com. The products retail from $5.99 - $9.99 each.